Through careful planning and regulation, Shelton strives to preserve its agricultural and open space properties. A balance of controlled growth and land preservation gives Shelton its unique character: a vibrant home for many business opportunities, while retaining a rural character to ensure a high quality of life for its residents. 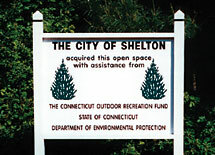 The Shelton Land Conservation Trust (SLCT) is a private, non-profit organization devoted to preserving Shelton open space in its natural state to the extent possible. 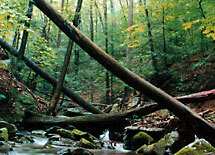 Presently the SLCT owns about 350 acres of forest, meadowlands, streams and swamps. These parcels are as small as one acre and some are large enough to boast mile long forest trails and scout camps. 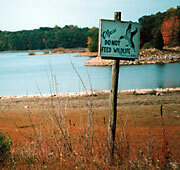 The Open Space ordinance was first passed in 1992. It called for an Open Space Committee and the preservation of 10% of the total land in the City. This ordinance was revised in 1998 to increase the preservation to 15% of publicly owned Open Space or approximately 3000 acres. In the past 10 years, since this ordinance was passed, the Open Space Committee was formed, a Shelton Open Space Plan was written, and the City has purchased over 600 acres with another approximately 100 acres through sub-divisions. This brings the total in Shelton to approximately 1435 acres of Shelton Open Space. The Shelton Conservation Commission consists of seven volunteers who serve in an advisory position to make recommendations in regard to preservation of open space and to its use. The Committee determines how development requests will affect the overall greenbelt plans for the City. The Commission was established to protect and preserve inland wetlands and watercourses. The agency strives to minimize wetland disturbance, prevent pollution and erosion, and protect the Citys potable fresh water supply. As the land base of the community diminishes, the Commission provides an orderly process to balance the need for economic growth with the need to protect the ecology of Sheltons natural resources.